Can the State evict owners of the land in pursuance of land acquisition proceedings initiated 67 years ago when the actual physical possession of the land was not taken over or would the purported acquisition proceeding be treated as lapsed in view of the Right to Fair Compensation and Transparency in Land Acquisition, Rehabilitation and Resettlement Act, 2013? This and several such questions have been raised in an appeal before the Supreme Court wherein 27 villagers, all residents of Guria village in Medinipur, West Bengal, have challenged the State’s move to evict them from their land in pursuance of land acquisition proceedings initiated way back in the year 1948-49 for purpose of brick fields. 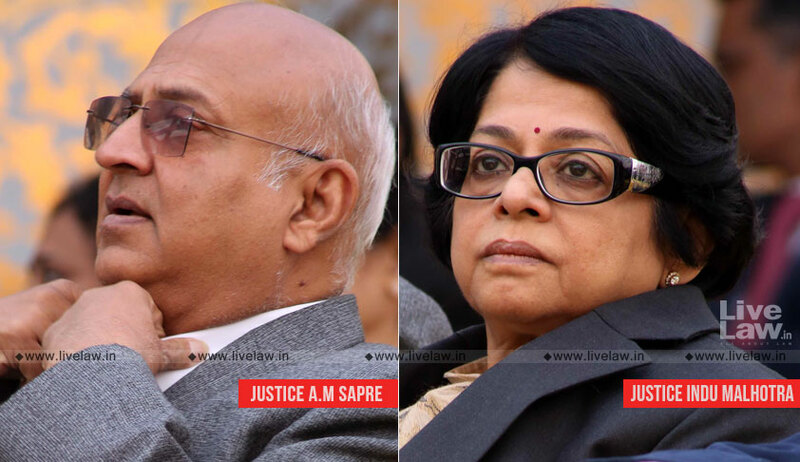 A bench of Justice Abhay Manohar Sapre and Justice Indu Malhotra has issued notices to the West Bengal government, District Magistrate, Collectors and others on the petition filed by Srikanta Charan Kanp and 26 others through advocate Rohan D. Bhowmick and Uday Gupta, seeking their response within four weeks. In the instant case, the petitioners (their fathers and forefathers) have been in possession of land measuring about 35.87 acres in Medinipur. In December 1949, an order was passed by the Collector, Medinipur under Section 3 of West Bengal Land (Requisition and Acquisition) Act, 1948 for handing over vacant possession of the said Land for brick fields. In June 1950, a notification was published in Calcutta Gazette for the acquisition of the said land. However, the petitioners said, the possession of the land was never taken over and till some time ago, they were cultivating on the land in question without any interference. It was in July 2015 that there the news that the government will evict all the petitioners from their land on the basis of acquisition proceeding dating back to 1949. The petitioners were caught unawares as they had no knowledge about such acquisition proceeding since their forefathers never informed them about it and so they tried to gather information about it by way of RTI applications. In September 2015, BDO Office Nandakumar Block, Purba Medinipur, directed all petitioners to vacate the land immediately or face forcible eviction even as the possession of the land was never taken over, nor any award or compensation made. The petitioners claimed they were the owners and were in physical possession of the land since 1949. While some of them have been enjoying the land as owners by way of inheritance, some had purchased the land from the original owners by registered sale deed after paying revenue to the state exchequer. It was only then that petitioners started to trace out the documents from their old and ancestral belongings. Some of them managed to retrieve documents which showed that Collector Medinipur had issued a notice under sub-section (1) of Section 3 of the West Bengal Land (Requisition and Acquisition) Act, 1948 in the name of the Late Surendra Nath and the Late Madhusudan Kamp with the intimation that 19 acres of land situated at Plot No. 1004 Mouza Guria had been requisitioned for brick field purpose. The petitioners’ raised one specific argument that “though gazette notification was published under sub Section (1a) of Section 4 of the Act II 1948 Act but no award was made by the collector within 3 years from the date of publication of the gazette notification hence entire acquisition proceeding is lapsed. That apart state authority did not disclose any document in support that award was made even did not make any averment in their affidavit in opposition that collector had made an award”. The petition said, “On the contrary state authority is claiming that suit plots have already taken over and handed over to the requiring body i.e. Public Works Department and plots were vested to the Government since 1950. Their contention is absolutely false because mere publishing gazette notification authority cannot claim that gazette notification has been published after taking over possession of the acquired land”. If the beneficiary of the acquisition is an agency/ instrumentality of the state and 80 per cent of the total compensation is deposited in terms of section 17 (3A) and substantial portion of the acquired land has been utilized in furtherance of public purpose then the court may reasonably presume that possession of the acquired land has been taken, they argued. “It is fact that possession was not taken over at the relevant point of time and award was not made and no compensation was paid, hence the purported acquisition proceeding initiated under Act II of 1948 be treated to the lapsed in view of Right to Fair Compensation and Transparency in land acquisition Rehabilitation and Resettlement Act 2013”. It is to be noted that Section 24 (2) of the 2013 Act says that in case of any land acquisition proceeding where no award has been made or where an award has been made 5 years or more prior to the commencement of 2013 Act but physical possession of land has not been taken or the compensation has not been paid then the said land acquisition proceedings shall be deemed to have lapsed. In February, 2016, the petitioners moved the Calcutta High Court challenging the action of the State in trying to evict the petitioners from the land in question on the basis of purported acquisition proceeding initiated 65 years ago since the possession of the land was never taken from them or their predecessors by the Land acquisition collector nor was any compensation paid. The petitioners claimed the State, in its reply, produced some record which appeared to have been made after the filing of the petition. The single judge dismissed the petition on the ground that Gazette Notification under Section 4(1a) of the West Bengal Land (Requisition and Acquisition) Act, 1948 (West Bengal Act – II of 1948) was published and the acquisition proceeding has culminated into an award. In August 2018, the petitioners challenged the order of the single judge but the same was dismissed by the Division Bench of the high court on the ground that the steps taken by the concerned authority of the State were duly notified in the Official Gazette published in the year 1950 and it was not as if the predecessors-in-interest of the petitioners were not aware of the acquisition proceedings. The orders of the high court have been challenged before the Supreme Court wherein the petitioners have sought to know if the land can be considered to have been acquired with the efflux of 67 years after initiation of acquisition proceedings.